Scott was one of four boys growing up in a competitive sports mad family. He has travelled to many wonderful places but is proud to call Perth his home where he has lived for over 30 years. He has a daughter named Jasmin and always strives for the best result for his clients. Scott has been a member of the dynamic and highly successful Attree Real Estate Team for many years and has extensive experience as a real estate agent. His positive, glowing reviews from his many satisfied clients is a testament to his professionalism. He has regularly exceeded his clients' expectations. 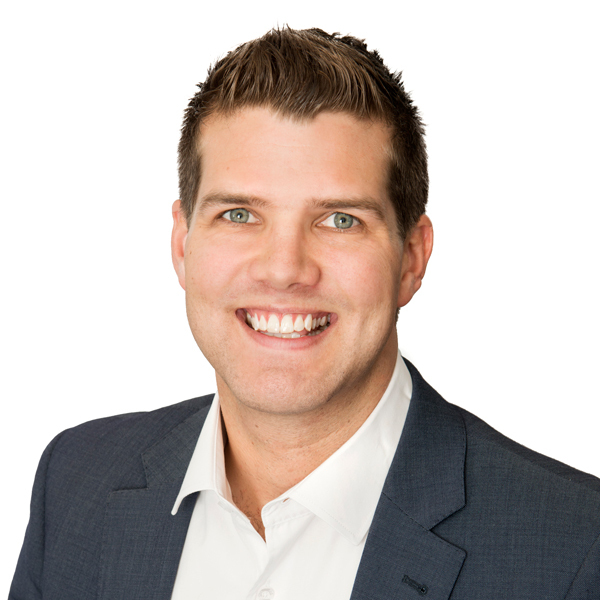 Scott specialises in the greater Canning Vale area and due to his intimate knowledge of the area has been able to achieve many outstanding results for his sellers. Scott is a highly respected individual and a top-performing sales specialist. He has an honest, professional approach and works with an outstanding team at Attree Real Estate, ensuring exceptional service and constant communication for his clientele. In order to consistently achieve leading sale results, Scott focuses on correctly pricing a property based on thorough research and recent sales. He then ensures perfect presentation of the property and cleverly markets it to appeal to a wide range of potential buyers, employing a sales method that best suits the home and current conditions. Scott takes pride in his achievements, finds enjoyment in dealing with all of his clients and strives to provide a sales or purchasing experience unsurpassed by any other agent. When i first considered the idea of selling my property i wasn't sure how to go about it. My sister had found me an ideal property just around the corner from her and it was then that I first met Scott who was handle the property when i went to view it. I immediately found Scott to be an ideal real estate agent to deal with. I explained to him my situation and that I wished to pay for the property from my proceeds of the sale of my own home. Scott immediately offered to come over the next morning and look at my property and confirm that I wanted to sell it. Scott explained the process and it proceeded under Scott's guidance. Scott at all times has kept me up to date with everything and provided all the relevant documents. Scott has been a great real estate agent and we achieved a good price for my property considering the state of the housing market at the moment. I found Scott very professional and knowledgeable. We brought our first home with Scott as the Sellers Agent. Scott answered all the questions we had promptly and explained the open negotiation process well. He also provided additional information for us to consider at our leisure to read so we were confident and comfortable with the whole process. Highly recommend Scott for anyone wanting to buy or sell a property. This was my first time selling a property and Scott made it all so simple. Had all the info I needed and explained everything through the whole process. I’ll definitely be using him in the future. Scott was very professional and all round nice bloke and we would recommend him to anybody. Scott was easy to deal with. Kept us updated throughout the process. Scott sold our home in a remarkable time & for a price we wanted. Constant updates & easy to decipher reports made the process operate very smooth. Scott deBoer was absolutely fantastic to deal with. Was an absolute pleasure dealing with Scott and Attree. Scott was efficient and professional. Good communication during the whole process. Scott helped us sell our home recently. We would highly recommend him to anybody looking to sell their property. He attends to even even the smallest of details. He is one of a kind - very friendly, courteous and professional. Uses sophisticated marketing strategies and is well versed with the current market. Anyone looking for an agent - look no further Scott de Boer is your man!!! George and I want to thank you for your professionalism and understanding in the sale of our home in Cologne Pkwy, Piara Waters. We were happy with the exposure of our home through your website and various real estate publications. Your attention to detail as well as your knowledge of the current market assisted us in understanding what people in the area were looking for in a home. You went above and beyond and we would certainly recommend your services to anyone that is interested in buying or selling a home. You were always courteous and have a very pleasant manner and we thank you for that. We put an offer in for a new property and were after a quick sale of our existing house. Scott was able to advise us of the current market and price required for a quick sale. After a good advertising strategy we were able to sell the property on the first weekend open. Scott was integral to the correct pricing of the property, advertising strategy and the sale of our house. We would like to thank Scott for his hard work and assistance in selling our property. We would definitely recommend him to anyone wishing to sell their home. Great work Scott - we are happy campers!! A very professional, comprehensive level of service from you. Utilising the backing of Attree's database of buyers you sold the house in the first week in a tough market. An awesome result, thanks for all of your help. Myself and my brothers would like to say and express our greatest appreciation for the fantastic service we received on the sale of our late mothers home. Everything from A to Z you did for us and we cannot speak highly enough about you, selling a house is stressful especially our mum's home but you help us in so many ways. Again thank you Scott from Attree Real Estate we cannot recommend you highly enough. After dealing with another agent for the previous six months with no result, I would like to say that I wish I had met with Scott de Boer sooner. Scott has been more professional and achieved more in the past two weeks than the previous agency I was signed with and we have only had one home open. Scott contacts me frequently to keep me updated and is very friendly and likeable while still being a professional. Nothing is too hard for him and it is very refreshing having him as my agent. I have no doubt he will sell my property very quickly. I just wanted to give you some positive feedback on how happy I am. Most people are quick to only give the negative feedback. The whole process of selling the house and buying something new went smoothly with Scott's help and "can do" attitude. We appreciated the good communication, advice, the helping hand and recommendations of good trades and other contacts where needed. Scott researched potential homes that suited our budget and family needs saving us a great deal of time and stress. I highly recommend you call him in your endeavours to downsize, upsize or to find the house that better suits your needs and lifestyle. Scott was able to sell my house in 3 weeks from listing. His professional approach and proactiveness were instrumental in getting the house sold, and for the right price. I would not hesitate for a second to recommend Scott as an agent if I needed a house sold. After my first home open, Scott achieved multiple offers and secured the one that is well suited to my house. After waiting for so long to move over to Canberra to be with my family, he has achieved this for me in matter of days. I can now begin to plan for the next chapter in my life. I am so impressed with all that Scott has done for me. If I hadn’t found his flyer in my letterbox, I would still be trying to sell with perhaps another unsuccessful agent/agency. I am extremely happy with Attree Real Estate and more importantly, Scott de Boer. Scott is definitely a remarkable person and has a great future in his chosen career. I will not hesitate to recommend Attree and Scott to anyone that needs to sell their house. Thank you Scott de Boer and Attree Real Estate. Thanks Scott De Boer! We have really appreciated the way you have handled everything. You certainly made it all very easy for us! I had my house on the market for 7 months with a local Real Estate Agent with no result. I then decided to go with Attree Real Estate and after one week, one home open I received multiple offers. I cannot say enough about Attree Real Estate and in particular Scott de Boer. If you are considering changing your option, I urge you to call Scott and have a talk with him. He is very friendly, likeable and totally professional. I would not hesitate to recommend Scott and Attree at any time. Showing 1-6 0f 6 total results. Showing 1-4 0f 4 total results.